Though of some interest....such as George IV's tiny stature revealed by his coronation panoply, I maintain that the entrance fees are obscene! I still can not get my head round how we (the British general public) are being charged to view things our ancestors paid for in taxes yonks ago, and still are, through indirect taxes to HRPP! Furthermore, perhaps we Brits should demand exemption to pay 'extra' to access our cultural heritage and let curious but 'put upon' tourists foot the bill for the privilege. It seems ludicrous to me that a child from a housing estate only a stones throw from KP is unable to view such artifacts through no fault of their own, whilst a tourist from Tokyo or NYC can slam it all on a credit card as part of their their trip. (I do not begrudge tourists the right to spend their hard earned savings...but the disparity is gaping and IMHO utterly wrong!) Until some semblance of balance is implemented I feel that no Brits should visit any HRPP after all who owns them in reality? Stunning dress! Entrance Fees by Museums in the U.S. are charged so that the Building can have regular maintenance. Some of the Fees may go for utilities, painting, termite control or insects , staff salaries or to add to the Collection. The Collections have to be put in expensive temperature controlled storage and cataloged on computers. If you receive a collection on loan or loan one out there is a lot of expense and always insurance. It depends on the Museum as to how much of the Fees go for various things. I remember going into a Building in England somewhere and the fee they politely asked for was going for the roof. Lovely pictures of her jewels! Is there any photo of her wearing that other necklace or tiara? I recognize the top tiara as the Spencer tiara she wore on her wedding day, but the other ones aren't familiar to me, and I have viewed many photos of her. The other Spencer Tiara. I am assuming that this is not a photo-shopped picture. I didn't know that she ever wore it. I found this on a site called Royal Jewels/Diamond Jewelry forum, at least that is what I noted. I was unable to find it again to get the fuller reference information. Someone deserves thanks for posting it. 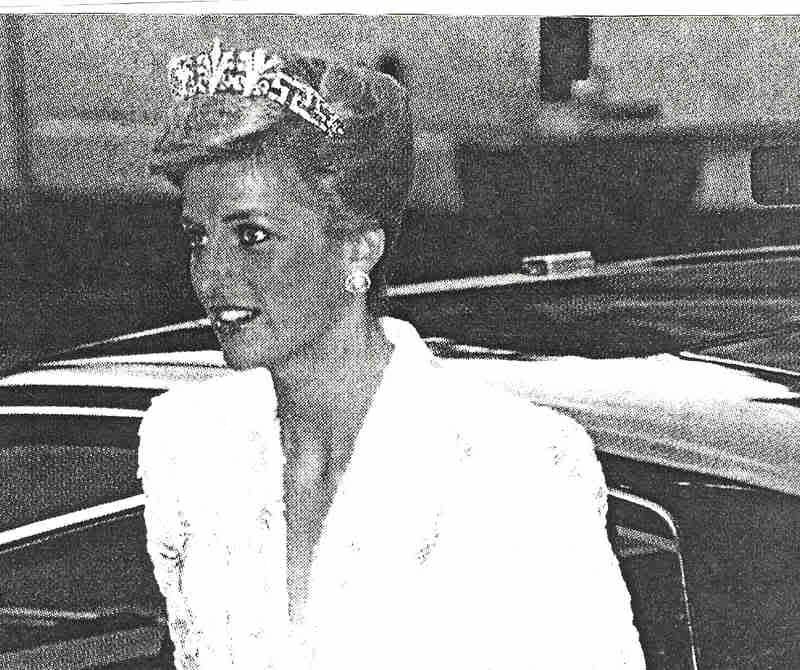 Please disregard the posting of the picture of Princess Diana with the Honey Suckle tiara. It bothered me that I couldn't find it. After about an hour, I found it again in the Royal Forum board. There is the notation that is was a photo-shopped item. Too bad. I am sorry for any inconvenience I have caused. It was too good to be true. I am surprised nobody has commented on the new exhibition (26 March - 31 Oct 2010) at the Queen's Gallery depicting the art collection of Victoria and Albert. The programme last night introduced by the Prince of Wales was interesting but, like most things these days, was "dumbed down" for mass consumption. Some of the pieces on display are fascinating such as the ivory throne presented to QV by an India maharajah and the thistle brooch with the milk teeth of one of her daughters taking pride of place !! Certainly worth a trip to London to see. I watched & recorded it, I didn't think it was too bad. Fiona Bruce is a good presenter & we did get some nice shots of Osborne, Balmoral, & Buck House. Some of the jewelry was pretty unusual though, stags teeth (yuk). That ivory throne looks quite amazing. The other things that attracted me from this were the albums of watercolours in which the experiences and history of Victoria and Albert were recorded. I did pop a note about this forth coming exhibition on the Victoria and Albert thread (maybe they should be linked?) but I am eagerly looking forward too seeing it!! There is also a beautiful book to accompany the exhibition with lots of beautiful photos, for those that can't attend. Here is an example of the stags teeth jewelry which I found in a newspaper. 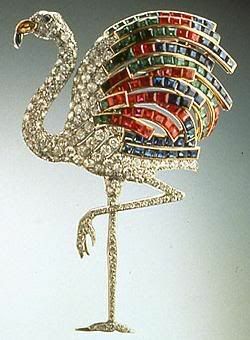 A hollyleaf & tartan brooch made in 1850. An acquired taste I think. Indeed, and one that I cannot imagine myself acquiring. The royal collections podcast of the Art & Love Exhibition. Its 23 minutes long & shows lots of interesting paintings and photographs. Its almost the same as Eddie's link from the V&A thread, but not quite. I visited the exhibition last week and it was wonderful!!! And the ques of people waiting to visit was very long! I think Queen Victoria must catch peoples imagination! I went to see it a few weeks ago and recommend it. The queue wasn't very long when I went, so maybe it would be easier to get in now. There were loads of paintings there that I'd only ever seen on the internet before, so it was AMAZING to see them in real life. I got a bit excited when I saw two extremely sweet photos of QV with Pss Beatrice I'd never seen before. If you're in the vicinity before it ends, I'd definitely make a point of going.